Social Feed - click to see the latest posts from EBS Facebook & Instagram accounts! Great tools to play with! Since 1988 EBS Sweden AB has been designing professional equipment for bass players. We make tools for musicians to play with, because we believe in high quality sound equipment that last, not gimmicks that only work for the moment. EBS is all about the sound. Our philosophy is to offer a natural tone, transparent and supportive to a great instrument and musician. EBS make equipment based on the fundamentals needed to achieve a great tone, to give you tools that help you grow and develop as musician. EBS is high quality musical equipment. 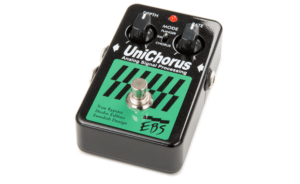 EBS products has been awarded several times for the outstanding performance and quality and are developed to meet the highest demands of professional musicians. Looking for EBS merch? Visit the webshop here!